Completely customizable hero units with special skills, equipment and abilities. Tons of resources for crafting and upgrades. Private chat rooms for those intense negotiations. Completely unleashed trade system. Trade anything with anyone. Players dictate the market. No matter if you win or lose, all resources you obtain will remain yours. None of your hard earned supplies will suddenly disappear because you were attacked. Unique energy grid system where you choose and manage your buildings. Spend your skill points as you level to strengthen your play style. Only like to build? Gain perks unique to you. Create federations with your friends and dominate the leaderboards! Alexium is relatively unknown. He came to us as a volunteer. During testing we realized he would make an outstanding pilot and through hard work he has made our hero roster. However, he does have a tendency to play inappropriate practical jokes during combat. Arig quickly made his way through the academy. He has always been an impressive pilot but with an obnoxious tendency to goad and infuriate his opponents. It almost got him expelled, but on the battlefield it is a thing of beauty. A long time ago, a beautiful girl was taken prison as her family was killed and village destroyed by raiders. By sheer force of will she killed her captors and asked for asylum. She has been Orin’s squire for years now. She’s ready. As a child, Baelum was within a dead-zone of an Orbital Ballistic Strike. A week later he was pulled from the rubble unscathed. To this day, many are still unsure what to make of him and typically avoid him at all costs. Everyone except Remin. Luusto is actually much younger than the other heroes. He benefits from clairvoyance, making him more mature and much more versatile on the battlefield. However, due to his age he still prefers to engage at safer distances than his colleagues. 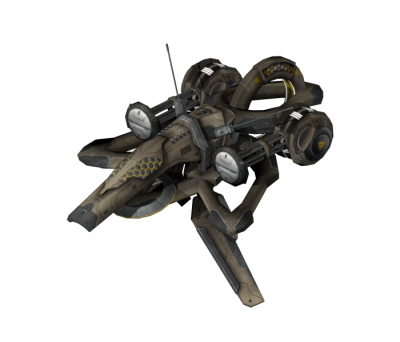 Once and orphan adopted to squire for legendary spaceship pilot Kiro. He learned the tricks of the trade at a young age. 27 years later his invaluable knowledge has become the foundation on which he leads his fleets to victory. By far our most mysterious hero. He was relatively normal until an incident with a black hole. He somehow found a way to escape the event horizon. Ever since then, his eyes glow and he moves so quickly he can evade ballistic fire. Samora is something of a unique case. She’s actually a wanted criminal. However, we have determined that she isn’t cruel, just broke. With enough flattery and money she has been a welcome addition to our hero roster. Sidna is an Alrydian war hero who was crippled terribly escaping an extinction level event on her homeworld. She requested this R16 Telepathy Bot stay connected to her at all times so she can still do what she loves. We gladly agreed. Tyric is named after his great-great-great-great-great-great grandfather. He comes from a long line of formidable heroes. When he enlisted he assured us he would be among the best. We have yet to meet a Solvaris who lies. Inner Hero LLC is a small team of passionate individuals that each possess unique talents that combine to span the necessary skill sets to create wonderful video games. We have been working on smaller projects together for several years, and finally formed Inner Hero LLC in 2017. 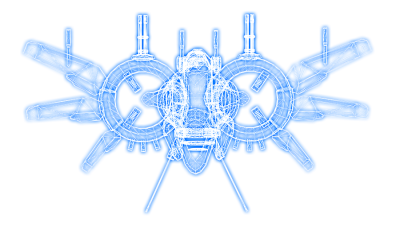 We are currently working on Fleets of Heroes with which we hope to redefine the base building genre and push the mobile industry to the next level. 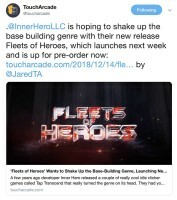 Fleets of Heroes has been the type of project we always dreamed of building, and we finally have the talent together to make the dream a reality. 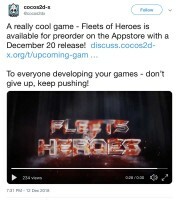 We are looking forward to launching Fleets of Heroes as our company’s first official game later on in 2018 to both iOS and Android. 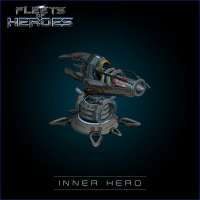 Inner Hero LLC will not stop with Fleets of Heroes, and we already have more projects on the drawing board for the future. "Will this plucky upstart be able to challenge the giants of the base building genre on mobile? That remains to be seen, but I’m happy that a small company like Inner Hero at least has the guts to try to take on the establishment." "Inner Hero was built on a dream that anyone can build anything with the right mindset and team. With our debut title, Fleets of Heroes, we aimed to design and develop the ultimate base builder for mobile. Being avid gamers and seeing the shortcomings of previous titles, we studied and reiterated on the game over 2 years with extensive testing and design revisions. The outcome is an original and powerful take on the genre we hope the world will enjoy to play as much as we did during the creation process." "Players will enjoy an open trading system, a talent system and a long-awaited alternative to the mechanics of accumulating resources, which has already become customary for this genre."